Oklahoma Connection | Harlow was born and raised in Oklahoma City, Oklahoma. Jim Harlow became the youngest graduate of Oklahoma City’s Central High School when he earned his diploma at the age of 13. Oklahoma native Dr. James Gindling Harlow was the son of educator and publisher Victor Harlow, the brother of presidential speechwriter and confidant Bryce Harlow and the father of O.G.&E. president James Harlow, Jr. He received his bachelor’s and master’s degrees in physics from the University of Oklahoma and earned his doctorate while a member of the faculty at the University of Chicago before returning to Oklahoma as a public school teacher. He was also the president of his father’s Harlow Publishing Company in Norman and became the executive vice president of the Frontiers of Science Foundation and guided the organization to national prominence during Oklahoma’s semi-centennial celebration. He served as professor of education and Dean of the College of Arts and Sciences at the University of Oklahoma. 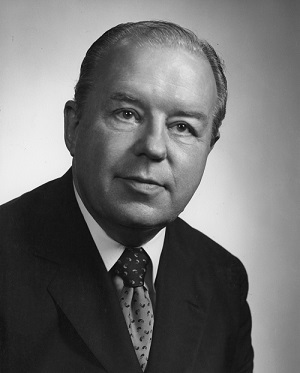 He became president of the University of West Virginia in 1967 and was named West Virginian of the Year in 1975.